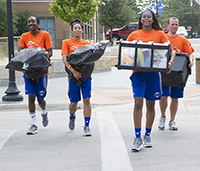 Help welcome students at Move-in Day! Participate in the excitement of back-to-school week by volunteering for a two-hour shift for the Residence Hall Move-in Event 9 a.m.-4 p.m. Monday, Aug. 21. Welcome and help students get situated in their new on-campus homes. Use the online volunteer registration form. 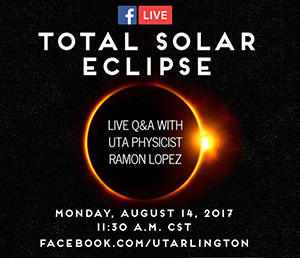 For more information, contact J.C. Stoner at jstoner@uta.edu. 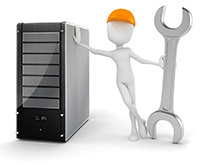 The Office of Information Technology will perform maintenance on several web applications 4-7 a.m. Sunday, Aug. 13. During this time, users will not have access to counseling workshop registration. Find People, Housing deposit payments, MyMav administration, or applications on the Sustainability, Test Services, and UTA Give Now websites. Questions? Contact the Help Desk at helpdesk@uta.edu or 817-272-2208. You also can submit questions through the Help Desk Self Service portal. LEARN MORE. University Facilities' Use Policy provides an overview of authorized uses of UTA facilities and property. Individuals and groups planning to reserve and use UTA facilities are encouraged to read Policy 12-600 in the University’s Handbook of Operating Policies.